The much touted "Trinidad and Tobago Model of Using Natural Gas for Development" is in serious decline. The industry and national economy are in crisis. Insiders know that the root cause has been a breakdown of the regulatory regime. The symptoms have been long evident, yet ignored. This is intended to be the first in a series of articles that will seek to highlight these failings and make recommendations to rectify them. It was published in 2012, in the hope that government would address failings of the fiscal regime. Five years on, it's messages are still relevant, as the concerns raised have not been rectified, continuing to result in billions of dollars of uncollected revenue. 1. Where and when can we get more revenue? 2. What do we need to do to get this? 3. How much can we get? This article will look at just some of the ways that we can collect more revenue from our current base of investments and activities. The hope is that it will reveal just how much value is being lost, so that we might ask whether we should spend our efforts to stem the leaks, rather than to generate new sources of revenue while we continue trying to capture them with the same leaky net. The scale and impact of our oil and gas revenues are so large that everyone in Trinidad and Tobago knows that, without them, we would be in deep difficulties, as a country and people. The facts are well known – around 80% of foreign exchange earnings and exports, 50% of all revenues to the government and 40 % of Gross Domestic Product (GDP) comes from the sector. For now, at least, we just cannot do without them. We know this to be indisputable, since our politicians and commentators always tell us so. Surely then, we must be putting our best efforts into collecting these taxes, shouldn't we? After all, isn't it the role of those who are managing the industry to make sure that the citizens, who own the resources and who pay their salaries - politicians, public servants and state sector technocrats - to make sure that the people get the most they can from their resources? And haven't we spent countless millions of dollars training and equipping them to do their jobs? Haven't we also put laws in place to make sure that companies abide by the rules? More so, once the oil and gas are gone, we have depleted the most valuable natural resource assets of the people (current and future generations, mind you). Of course, all these factors are in place. But how effective are they and how well are we doing at getting what the citizens expect and are their due? Surely, if they weren't doing a good job, our many, well educated academics, researchers, economists, lawyers and accountants would have pointed this out, suggesting ways to fix any flaws. Our technocrats would have stepped up to the challenge and we would all be comforted. This is so big, it must be a priority for all. It must certainly engage our brightest and best. All involved must be giving their most, at all times, to make sure we collect every dollar that is due and that we close any loopholes there might be and which we would have picked up after over one hundred years in the business. Right? 1. “But Ramnarine said after his ministry started investigating illegal bunkering a few months ago, it was estimated that almost 40 per cent, or about $1.5 billion , has been lost through the illegal sale of diesel fuel. The bunkering racket has been going on for much longer than was initially believed. (e) All of this is happening in a period when oil and natural gas prices were at historic highs! One is left to wonder whether there has been systemic institutional failure and if so, why and how can this be reversed? Does this point to a failure of the administration system? Is there reason to call for an independent oversight of this important revenue generating industry? But, before we get ahead of ourselves, let's look at a few areas of leakage in revenue collection. Mind you, this is by no means comprehensive. “Energy Tax Regime - Mr. Speaker, I indicated earlier that notwithstanding the significant increase in the price of oil, the tax accruing to this country from our hydro-carbon resources was considerably less than expected, due to a number of reasons, including a tax system that needs to be reviewed and modernised. Mr. Speaker, the current tax system came into effect in 1992 at a time when the energy landscape was considerably different from what obtains today . --- This notwithstanding, the oil sub-sector, would continue, and must continue to make a significant contribution to the development of the domestic economy by providing its fair share of revenues to the national treasury . Accordingly, we propose to review the current petroleum tax regime , and have already begun discussions with the oil producing companies. Given the highly complex and technical issues that need to be resolved, we expect that these discussions will take upwards of six (6) months before a new tax regime is hammered out. So as far back as 2004, it was publicly stated that the institutional arrangements for oil and gas tax assessment and collection had been outdated and failing, causing potentially massive losses to the people of T&T. Promises were made to plug the gaps. • What are the roles and functioning mechanisms of the PPPC? • How do we get assurance that these failures will be fixed and not recur? • If oil prices are not reconciled between what the companies submit and what the government determines, how and when is the BIR assessing taxes due? • Why is the BIR only now auditing and reconciling with oil companies six years after submission? • Were any tax audits not done because they were statute barred after 7 years? Is so, how much might have been lost as a result. • Does the valuation process diligently keep track of changes in the value of crude? Over the last decade, the East Coast oil mix has moved to very higher value oil (associated with gas). • How big is the loss by virtue of the high rate of inflation and the value of hundreds of millions of dollars collected six years late? Inflation means the country collects less money. • Are there penalties for deliberate under-reporting? • Civil servants and Ministers have obligations in law, but there are no penalties for lack of compliance and no reward for diligence; are we surprised that there is apathy? Although we don't think there is, how can we be assured there is no corruption in the future, with these very high numbers involved and the changing landscape of the investor companies? 2. Tax Fraud – the marine diesel scandal and the scale and duration of this and the impact on the national budgetary subsidy is shocking ( estimated by the Energy Minister at $1.5 billion in one year ). These big numbers tend to numb us as we have no way to relate to them, so their impacts aren't easily communicated. Think of these two numbers, though – The Prime Minister's Children's fund, meant to assist desperately needy children in life threatening or critical situations, is targeting $100 million (the stolen diesel is worth 15 Funds). Public servants settled for 5%increase in salaries, at a cost to the treasury of $600 million over the three year period of the negotiations. If one year's stolen diesel had been taxed at the proper rate, the revenue to the State would have been the same as giving Public Servants a 12.5% increase! It's not so simple, of course, but this is by way of illustration. Why did the diesel racket take so long to come to light? Industry insiders and the governments have known this for years. Why was no concerted action taken? With this in mind, we do need to ask what else might be stolen. Might there be an illicit trade in gasoline too? Again, is there a systemic breakdown in the tax monitoring and collection system? Why did at least five State agencies fail in their duty of due care – for the Ministry of Energy, BIR, Customs and Excise, Petrotrin and NP, the scale of the revenue involved and pace of growth of marine diesel are big enough to have raised red flags, warranting management concern about this single market segment. How do we implement operating policies and procedures to ensure that our systems are working and if not, to deal with keeping them effective? 3. Tax evasion/avoidance – e.g. 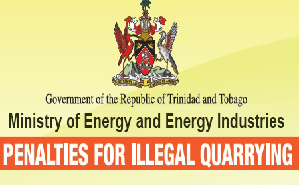 the failure of the Caricom Tax treaty to address parity , whereby T&T charges 5% withholding tax (WHT) on profits or dividends repatriated out of country, for the energy sector but, using the Caricom Tax Treaty, some companies register their parent company as domiciled in Barbados and St. Lucia and pay no WHT. They then repatriate their profits to their true home base, at zero or very low WHT rates in Barbados and St. Lucia, using the favourable tax treatment mechanisms there to avoid paying their full tax burdens in T&T. Since these companies include shareholders in Atlantic LNG and Pt. Lisas and other oil and gas companies the result is that T&T is suffering great losses, potentially in the order of hundreds of millions of dollars. All of this is because of a misalignment in national tax treatments among Caricom member nations. In other words, our neighbours are creating a hole in our tax fence for our valuables to be pulled through, without compensation. None of this may be illegal. However, we have seen that the US government has been making moves on Swiss banks so as to go after tax evaders and that Caribbean countries have been blacklisted because of their financial laws that are said to allow for money laundering and tax avoidance. What is the actual value of this slippage? Who are the companies involved? Should we be talking to Barbados, St. Lucia and Caricom about urgently harmonising tax laws and taking action to prevent this? Are there other treaties that negatively impact us in this way, by virtue of their lack of balance? How do we examine and revisit them? Of course, companies use many other ways to avoid taxation, after all, their objective is to maximise their return to their shareholder. They use all the resources at their disposal to do the best they can, so they come up with many ways to minimise or avoid taxes. It is Government responsibility to do the same in order to maximise the benefits for its citizens. In another example, some companies use “thin capitalisation”, with low equity in the local subsidiary and high debt provided by a parent company, which finances them with interest rates that are higher than market. In this way the operator remits more of the revenues as financing costs, rather than declaring higher profits, so paying lower taxes. Some also get involved in “transfer pricing”, by artificially lowering the price for which their product is sold to an affiliate or business partner (this is precisely why the PPPC was set up to prevent fraud in oil sales, but no such mechanism exists for gas and products sales). In another form of transfer pricing, in times of profitable operations, some companies use mechanisms to increase the reported cost of their operations, so as to again reduce profitability and tax burden. A common one is bundling of services with affiliates overseas, so that there is no transparency on actual cost, but the high costs can be moved to higher profit centres. This has been going on for years in T&T, with companies using different techniques, knowing well that government does not routinely check across jurisdictions. Another victim of such actions, of course, is the local service industries, who, through a series of meandering rationales are told they are either suddenly not safe enough, certified enough or competent enough to deliver a service they have been safely, efficiently and cost-effectively providing for years. Suddenly, a foreign supplier is brought in, without necessarily having to go through the same hoops and is paid much more. Today, for instance, there are marine services companies working off the East Coast, at the expense of locals and charging the operator up to 10 times the cost of the local who was doing it before! Do we need to get tax experts, like those who advise companies on these mechanisms, to describe how they work and what T&T can do to avoid such massive losses? What else do we need to do? 4. Tax loopholes and tax myths – Petroleum Tax Law is unique and designed specifically to address the nature of the industry and the resource. Like all our petroleum laws, regulations, institutions and contracts, they were designed and implemented at a time when the world and the industry were very different from today. Yet we continue to work with them, as if nothing has changed. Some of the changes have been fundamental, both in reality and in perception. This discussion alone can take more time and space than this article will allow, so please permit me, for now, only to make a few observations, in support of my argument that we need fundamental and urgent change to the tax regime and institutional approach to managing revenue collection and oversight. (a) Oil and gas companies only pay taxes on the profits from sale of their product. They do not pay capital gains taxes on the sale of their assets, for the simple reason that our tax codes do not include taxation of capital gains. The oil industry is quite unique and, the fact that oil and gas assets are paid for out of the sale of the nation's resources is interpreted in T&T's laws and contracts to mean that T&T owns them, after their costs are recovered. This difference in the nature of the oil and gas industry from other businesses is recognised by the very fact that there is a separate tax law to treat with the industry. As an example, companies are required to ensure that all their assets are in good working order and properly maintained at the end of their licence period and that these are then assigned to the State at no cost. Yet companies are allowed to recover the cost of their assets from the sale of our oil and gas, sell these assets and keep all the revenues, not even paying corporate taxes on theese profits! The scale of these potential sales and the financial and strategic impact of such future sales are so significant that they require further discussion. (b) Signature, production, training and other bonuses and other one-off payments were designed by the MEEA to add extra revenue to the state coffers, outside of production based taxation and, as the names suggest, are bonuses that are paid to the state in recognition of the privileged position assigned to or attained by the investor. In the past, these were valued as non tax-recoverable, for the purposes of evaluating competing bids. The BIR has ruled that, under the existing laws, these bonuses were in fact tax recoverable and, instead of adjusting the law to fix this misalignment between intent and future outcome, the government has continued to pay back for bonuses received, by virtue of returning them to the payers via expenditure write-offs. These can amount to hundreds of millions of dollars. (c) This also raises the question of whether non-operating and/or non-capital expenditures ought to be recovered at all and, if so which ones and too what level. That too needs a separate discussion. There are many instances where companies have used these to transfer expenditures to profitable business centres and reduce their tax liability. (d) We often hear the argument - “ royalty rates should be reduced or removed, to provide an incentive for investment. Giving up royalty is necessary to make an investment attractive and create industry and jobs. Government will collect taxes once the investment is profitable.” Forgetting the challenges of collecting the right level of taxes for the moment, consider this – any productive enterprise requires three inputs: land (or natural resources from above or below the ground), labour (manual or intellectual) and capital (equity or loans). If an investment were not attractive, no investor would put money, even if he were told that it would create jobs and industry. How many investors would forego recovering their investment, instead sharing only in the profits? None. Similarly, no banker would be asked to finance a project interest free! Yet that is exactly what countries are asked to do by putting their input in the business (oil and gas) for free (i.e. no royalty). Keep in mind that once the oil and gas are removed they are not replaced, so a significant portion of the national wealth is being put at risk on the assumption that an investor is good enough to make money from it. That is why royalty has been with us for centuries – in recognition of the fact that it is the cost of one input into the productive output of a business venture . Who would give labour for free? Oh yes. That did happen. It was called slavery. As I recall, that did create lots of jobs ! (e) “ Carried participation ” is called a form of “ government take ”, meaning a share of the revenue that accrues to the government out of the revenues generated by the investor, in much the same way as a tax does. Carried participation refers to the fact that companies are required to bear the full cost of the exploration phase of oil and gas operations, in order to earn the right to produce any discovery. If such a discovery were made, the government retains the right to some portion of the venture, paying (in the case of T&T) for its share of the costs thereafter. By equating a portion of the exploration cost (equivalent to the government's share of the venture) to a tax, companies tend to give the impression that their costs are somehow a favour to the government, for bearing the “State's share of the exploration costs” and then seek relief later on. Nothing could be further from the truth. Companies know that the State owns 100% of the asset and that their investment is the cost they pay for earning a share of the equity in that asset. They know too that the level of their investment is in line with the rate of return they expect from their share of the revenues. They know also that they often sell a share of their equity to a third party at a price based on what they have spent and the value they have created and that the third party does not see this as a tax. In other words, they and the newcomers pay a price to earn some equity in a venture, whose value is based on assets owned or controlled by the seller. If they can convince the State (and they often do) that they have done the State a favour, the State reciprocates by lessening their tax burden. Incidentally, economists and analysts often refer to royalties as a form of “government take” as opposed to a cost of production, especially when making the case for better fiscal terms for investors. (f) The T&T government holds that contracts should not be revisited , even though companies routinely make requests for revisions to tax, work programmes or other contractual obligations, when they determine economic conditions not to be favourable or the government to be vulnerable. Government tends not to reciprocate, even when profits are super-high, as in the case of the Atlantic LNG's ten-year tax holiday for Train 1. This was allowed to continue in spite of much higher than anticipated prices (than projected) and profits from the first day of production (reported to be more than $10 billion that were not taxed) and even though industry analysts urged the government to revisit the tax holiday as a condition for agreeing to expansion into new trains. (g) By the same token, we hear often that oil and gas taxes should never be revisited and that the investors need fiscal stability, in order to make investments. Modern fiscal regimes and/or production sharing contracts allow for various mechanisms, such as “rates of return”-denominated sharing mechanisms, “economic stability clauses” (whereby both parties achieve their desired objectives, should conditions change one way or another), “windfall profits taxes”, etc. So an investor gets the return it projected, government does not give up upside, where conditions, beyond the control of the investor, result in a big windfall. In T&T, the government actually revisits the Petroleum Taxes Act very regularly, as it tries to manage subsidies, incentivise exploration and production for specific assets, etc. The point is that the industry is very dynamic and history has taught us that there is a need for flexibility, based on these changing and unpredictable conditions. In reality, the changes have tended to be in response to investor requests, when things are not going as well as they would have liked. T&T has generally been slow in moving in the other direction, that is, changing the regime to restore the balance when there is a sudden windfall. The case in point is the reference above to the Minister of Finance's 2005 Budget Statement (delivered in October 2004) wherein she stated that the current tax system came into effect in 1992 at a time when the energy landscape was considerably different from what obtains today “. Up to the time of writing, in spite of drastically changed oil and gas prices, this has not been addressed! (h) “Taxes are an individual's or company's private and confidential business and should not be made public.” In spite of the biggest foreign producers having signed up internationally to the Extractives Industries Transparency Initiative (EITI) and/or being State owned companies, successive government has used this approach to avoid changing the law to require oil and gas producing companies' tax payments being made public, in spite of their stated commitment to EITI. Given that the US own Dodd-Frank legislation and similar legislation being considered in Europe and the UK, calls for natural resource extraction companies to divulge publicly payments they make to foreign governments on a project by project basis, any similar requirement by T&T should be seen as aligning with international practices. The law of T&T calls for businesses to conduct their affairs in line with international practices. As stated before, oil and gas taxes are special, given the nature and ownership of the resources, so the need for transparency trumps the perceived need for confidentiality. There are other gaps and myths, of course. Space does not allow for a detailed look at these or at the other avenues through which revenue slips, particularly those that were created back in the 1960s and ‘70s and which we continue to perpetuate, in spite of the nature and landscape of the oil and gas industry having significantly changed, as the Minister of Finance acknowledged in the 2005 Budget Statement. Nor can we look at the ways to plug all the leaks here. Revenue collection is just one mechanism for ensuring that T&T gets the most value it can from the oil and gas resources. In the same way that an ineffective system of revenue collection can be seen to be creating losses to the country, analysis of the other parts of the decision and management chain will show gaps of a similar magnitude - from the decision and approach to selecting and granting a licence, permit or contract to an investor (whether by bidding or direct negotiations) for exploration, development, production, storage, transportation, processing, trading, marketing and distribution of oil and gas and their derived products; to the negotiation, execution and management of this licence or contract; to making sure that he operations are managed in a manner that generates and captures the maximum value for T&T, including the use and development of local people, institutions, businesses, goods and services and that limits slippage; all the way to the how decisions are made and managed for the expenditure of collected revenues. We need to be comfortable that there are not similar systemic failures across the rest of the value chain. This will start with significant analysis and discussion. What is certain is that, even though measures are put in place by policy and law, they will fail unless their implementation is guided by robust risk mitigation systems and operational policies and procedures. These will require that accountable agencies develop and consistently use appropriate monitoring and reporting mechanisms. These in turn, must allow for public scrutiny, facilitated by easy access to full, up to date and accurate information. Without these, we shall end up in the same place we are today, hemorrhaging the value of our children and theirs!  In a speech to the T&T Energy Conference and Trade Show in January 2017 (http://www.energy.gov.tt/wp-content/uploads/2017/01/Speech-TT-Energy-Conference-and-Trade-Show-2017-.pdf) the Minister of Finance at the time also Acting Minister of Energy and Energy Industries declared: "On the issue of pricing within the industry, the Ministry of Finance will reestablish the Permanent Petroleum Pricing Committee in 2017 to address issues such as the fair market value of petroleum and petrochemical products and arm's length transactions." Anthony E. Paul is Principal Energy & Strategy Consultant @ ACES, Caribbean Energy Specialists (Association of Caribbean Energy Specialists Ltd.). Petroleumworld does not necessarily share these views. Editor's Note: Petroleumworld reprint this article in the interest of our readers and does not necessarily reflect the opinion of Petroleumworld and its owners. All comments posted and published on Petroleumworld, do not reflect either for or against the opinion expressed in the comment as an endorsement of Petroleumworld.